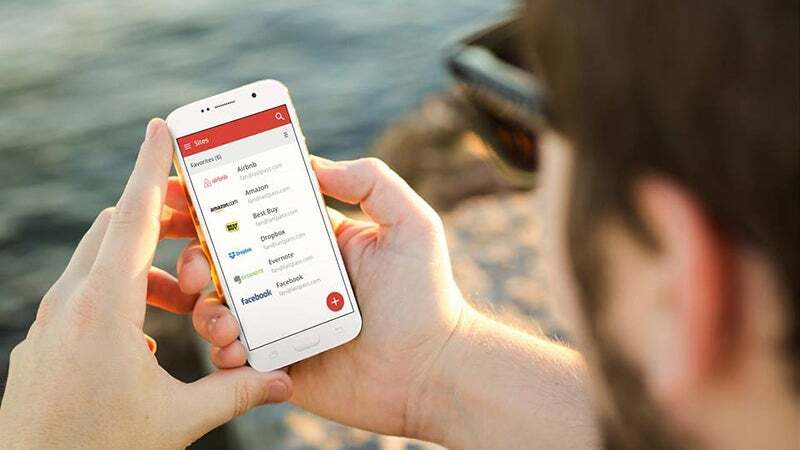 Our favourite app as far as encrypted messaging goes, Signal takes security more seriously than some of its better-known rivals, plus brings to the table all the essential IM features you’re going to need: group chats, VoIP phone calls, read receipts and much more besides. Crucially there’s also end-to-end encryption—which means the only people that can read your missives are the person receiving them. 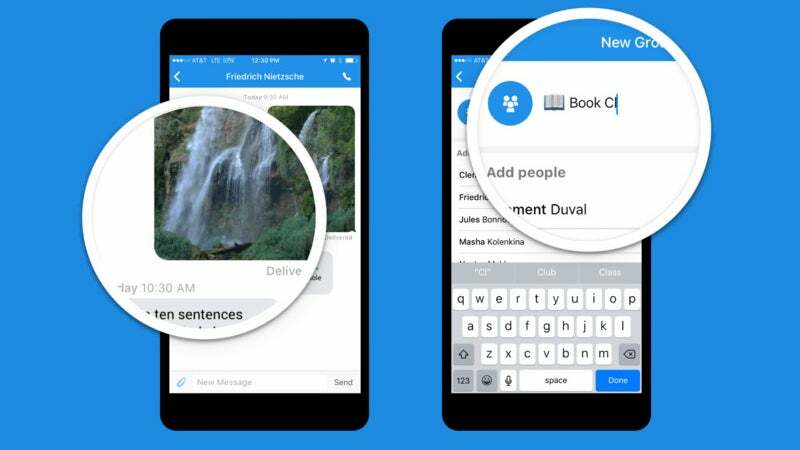 So would-be snoopers can’t take a look at your chats, even employees of Signal itself. Plus, it’s also lightweight and easy to use, though it only works with other Signal users. So you will have to convince your friends to go out and get it too. You have your reasons for browsing the websites you browse, and maybe you’d like to keep those reasons, and your browsing activities to yourself. 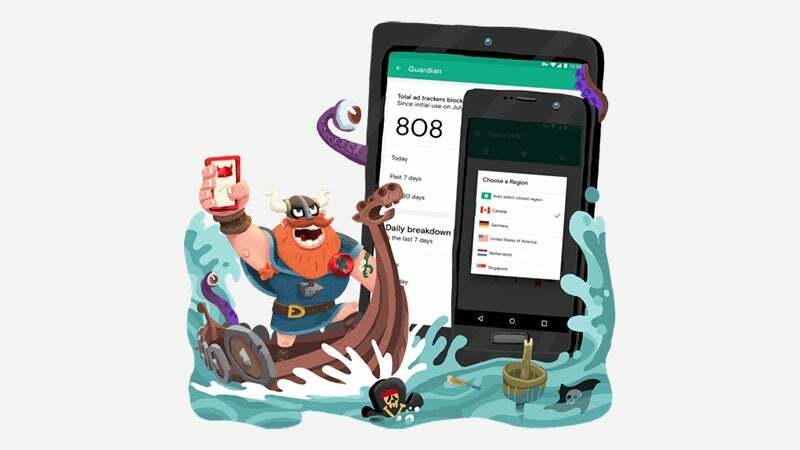 Orbot brings the power of anonymous browsing and messaging to your Android device, tapping into the open source Tor network to make sure the 1s and 0s you’re sending and receiving are encrypted, anonymised and bounced around various locations worldwide. 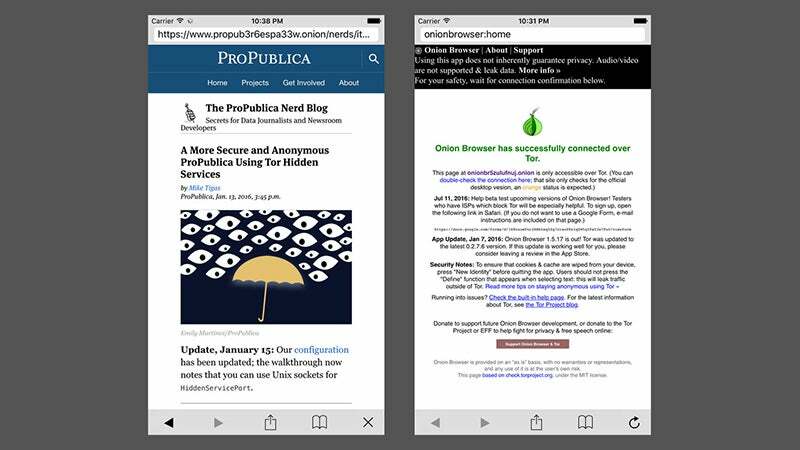 Orbot sits underneath your other apps, like Facebook or the phone’s browser, and anonymises the data being transmitted. You can configure Tor access on an app-by-app basis if there are some apps you’re more paranoid about than others—useful when you value speedy browsing over secure browsing. Despite some of the advanced privacy features at work under the hood, Orbot itself is straightforward and relatively easy to use. Android can have a nasty habit of creating lots of useless files that eat up precious space on your phone’s storage. 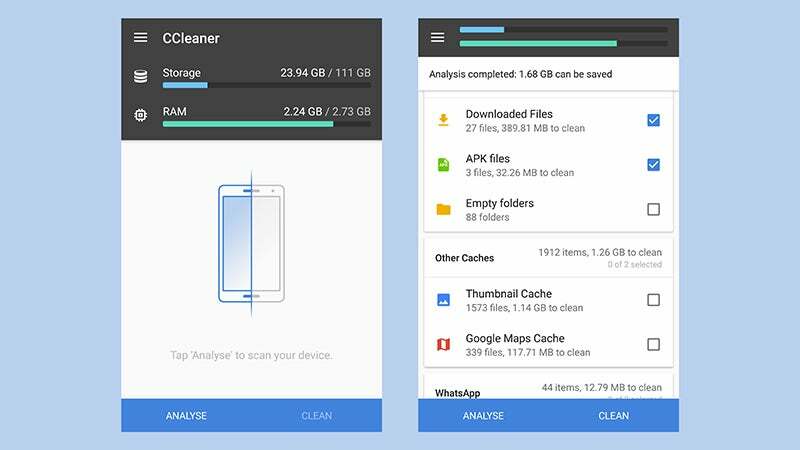 CCleaner, one of our favourite computer cleaning applications is now available for Android devices, so you’ve got no excuse for having junk data and unused apps hanging around on your phone. Upgrade to a premium account to get the option to schedule cleanups in advance.